Wine glass in sea green with four rod twisted stem and merese below the bowl. Designed by Philip Webb and made by James Powell & Sons Whitefriars London. 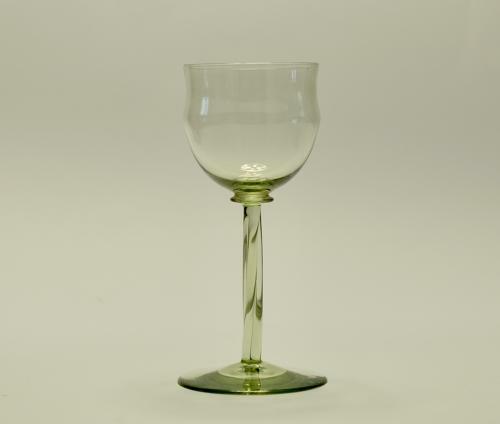 Note: The merese is an unusual feature of a glass designed by Philip Webb. For similar glasses see Whitefriars Glass 'The Art of James Powell & Sons' Edited by Lesley Jackson 1996. p.97, plate 4.